Investigators from the US Centers for Disease Control and Prevention (CDC) have linked data from 2 outbreak reporting systems in the United States to determine trends of norovirus outbreaks, including the most virulent genotype. Past research has found that of the 3 genogroups and 29 genotypes of noroviruses, genogroup II type 4 (GII.4) occurs most frequently in outbreaks throughout the world. In a new study published in the Journal of Infectious Diseases, CDC investigators set out to determine how the epidemiological triad of viral, host, and environmental factors contribute to severe norovirus outcomes. The study is the first of its kind, noted the authors, and links data from 2 US surveillance systems—acute norovirus outbreak data reported by state health departments from 2009 to 2016 to the National Outbreak Reporting System (NORS), and epidemiological and sequencing information from a national system of laboratories known as CaliciNet. Read more about the virulent genotype of the norovirus. When it comes to antiretroviral therapy for HIV, less is often more. To that end, the medical community has been working on ways to reduce the number of drugs patients must take in order to stay virally suppressed. Fortunately, the days of the multidrug cocktail have given way to fewer and fewer pills, making it easier to stay on antiretroviral therapy and lessening the chance of adverse events. 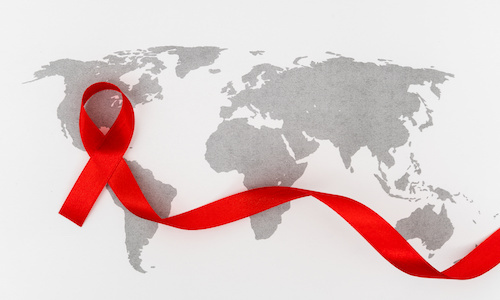 A team of investigators based at Buenos Aires University in Argentina decided to test whether a 2-drug regimen would work as well as a 3-drug regimen in people with HIV. They designed 2 identical trials, called GEMINI-1 and GEMINI-2, to run concurrently at 192 different health centers in 21 countries. The team recruited adults with HIV whose HIV RNA levels were no higher than 500,000 copies/mL and who had never taken antiretroviral therapy. The 1441 subjects ultimately chosen for the trials were randomly assigned in a 1:1 ratio to either the 2-drug arms or the 3-drug arms. The 2-drug regimen consisted of dolutegravir plus lamivudine, while the 3-drug regimen was comprised of dolutegravir plus tenofovir disoproxil fumarate and emtricitabine. The participants were seen at regular intervals from July 2016 to March 2017, and the main outcome of the study was the proportion of participants in each arm who were able to get their HIV RNA levels down to less than 50 copies/mL by week 48. Read about the 2-drug HIV regimen. Stethoscopes are a time-old symbol for medicine and health care. Because these medical devices play a critical role in patient care, they travel with health care workers throughout their rounds. Unfortunately, this also means that stethoscopes are often used with dirty hands, and travel throughout the hospital without proper disinfection. Discussions surrounding disinfection and sterilization tend to focus on high-risk equipment, like endoscopes; however, easily forgotten equipment, like stethoscopes, can be a prime source for transmission of microorganisms among health care workers and patients. To this end, investigators on a recent study evaluated existing cleaning practices for stethoscopes and assessed adherence to recommendations for cleaning and disinfection. The role of stethoscopes as disease transmitters has been debated but ultimately, this medical device should be considered a risk as it comes into contact with both patients and medical providers. The US Centers for Disease Control and Prevention (CDC) lists stethoscopes as both noncritical and semicritical depending on the interaction it has with intact or nonintact skin (meaning: if a patient has nonintact skin, the stethoscope should be classified as a semicritical item requiring the appropriate disinfecting measures). Noncritical items require disinfecting between “each patient or once daily or once weekly,” while semicritical items require disinfecting before each use on each patient. Although there is clear guidance from the CDC on disinfecting stethoscopes, practices vary. Some medical providers even use a glove to cover their stethoscope as a contact precaution. Investigators on the new study, published in the American Journal of Infection Control, performed the observational, cross-sectional, anonymous study of patient-provider interactions in an emergency department (ED), surgical intensive care unit, and labor and delivery unit at a large teaching hospital in Houston, Texas. Health care workers were stratified by category (ie, nurse, physician, etc) and observations to assess the frequency and methods of stethoscope and hand disinfection practices were performed on different days, times, and units. Read about the importance of stethoscope disinfecting. The US Centers for Disease Control and Prevention (CDC) has announced a multistate outbreak of Listeria monocytogenes, this time linked to pork products. This is the second Listeria outbreak linked to pork products declared this fall, with an outbreak linked to deli ham declared in October. As of November 21, 2018, there have been 4 cases of infection associated with this outbreak from 4 states. Those who have become ill range in age from 35 to 84 years, with a median age of 60 years. All 4 affected individuals are female and have been hospitalized. No deaths have been reported at this time. Read about the multistate Listeria monocytogenes outbreak. Rat lungworm (Angiostrongylus cantonensis) is now widespread among rodents in New Orleans, posing an increased public health risk of rat lungworm disease to people in the area. “Our overall estimate of 38% infection prevalence in New Orleans is comparable to count-based estimates reported for other areas where A cantonensis is considered endemic,” wrote Rosalyn C. Rael, PhD, from Tulane University, New Orleans, Louisiana, and colleagues, in the December 2018 issue of Emerging Infectious Diseases, the monthly peer-reviewed public health journal of the US Centers for Disease Control and Prevention (CDC). The rat lungworm is a nematode parasite that is transmitted between rats and intermediate hosts (such as slugs or snails). Other animals (such as freshwater shrimp and frogs) can also harbor the parasite, serving as paratenic hosts. Rat lungworm can cause eosinophilic meningitis in people who become infected after eating any of these intermediate or paratenic hosts, either poorly cooked or raw. In their study, the investigators aimed to determine whether the rat lungworm populations have increased since Hurricane Katrina hit New Orleans in 2005. They trapped 696 rats from 78 sampling sites across 10 neighborhoods in and around New Orleans, between May 2015 and February 2017. The sites were chosen to capture different elements, including socioeconomic factors, flooding, and post-disaster landscape management, in the wake of Hurricane Katrina in 2005. The investigators collected 4 species of rats: Norway rats and roof rats in all 10 areas, hispid cotton rats in 2 areas, and rice rats in only a natural area of Orleans Parish. They screened all rats for lungworm at postmortem examination. Read about the presence of rat lungworm in New Orleans.